Dermal Infusion is an advanced skin-resurfacing treatment that combines exfoliation, extraction, and infusion of condition-specific serums to improve skin health, function and appearance. 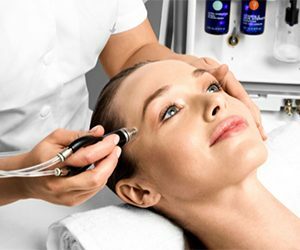 A patented, non-invasive treatment, Dermal Infusion is fully customizable and the perfect solution to address a wide variety of skin concerns and conditions from head-to-toe and is suitable for all skin types and tones. Recommended treatments to be performed bi-weekly for optimal results.